Young female physician holding pills. 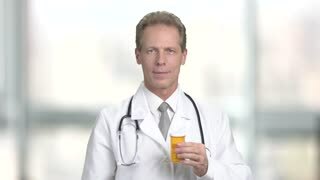 Beautiful young doctor holding two blisters of pills and gesturing thumb up on blurred background. Effective ways of treatment. 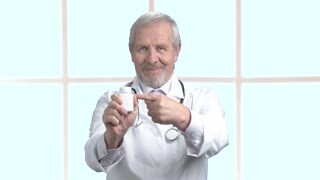 Caucasian woman doctor holding blister of pills. 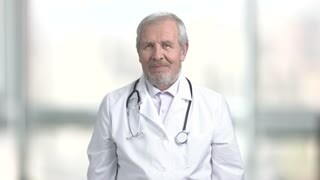 Pretty medical worker wearing surgical cap holding pills. Medicine, pharmacy and healthcare.